Fast, fun, and agile enough for a multitude of uses. From fitness and commuting to errands and mellow Sunday loops, you’ll find your new favorite ride on a fitness bike. The FX 3 is our recommended fitness hybrid model. 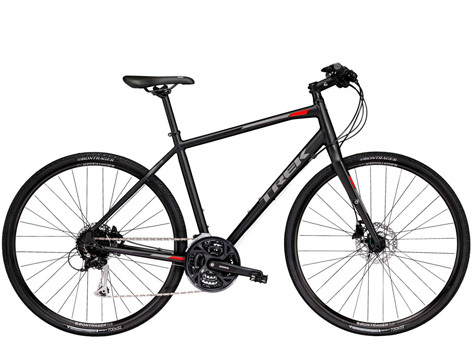 It has the perfect combination of city bike comfort and road bike speed. With the FX 3, you're getting above-average shifting and exceptional comfort with a carbon fork and ISO zone grips.